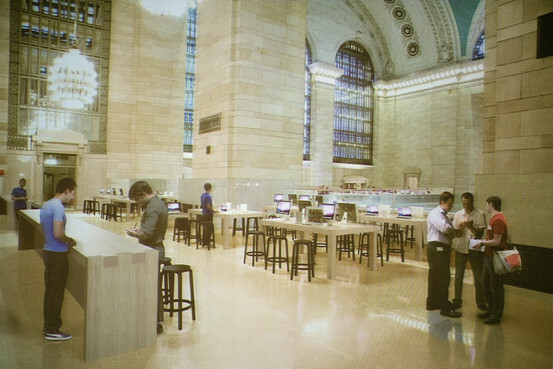 Apple is planning a new retail store inside Grand Central Station in New York. The company paid the current tennants of the spot $5 million to leave their slot early and will pay $1.1 million a month in rent, the Wall Street Journal reports. 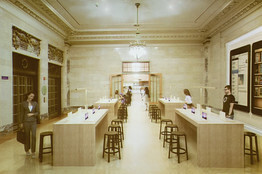 Now the Metropolitan Transit Authority has released some renderings that show us what the new Apple Store in Grand Central will look like. The planned store will take the place of the Metrazur restaurant inside the station as well as an adjacent balcony. Construction will begin immediately and take a bout 4 months, the MTA said. The new store actually looks really great and should be a nice addition to Grand Central, although its unlikely to make the already hectic station any less crowded.